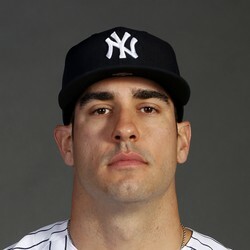 Mike Tauchman went 2-for-4 with a three-run home run, a double and four RBI in the Yankees' 8-0 win over the Red Sox on Tuesday. Tauchman had a great night at the plate against the rival Red Sox. But the 28-year-old is only up right now because the Yankees are dealing with many injuries. Tauchman is not a prospect and will be sent down when players come off the IL and is not worth picking up in fantasy leagues.